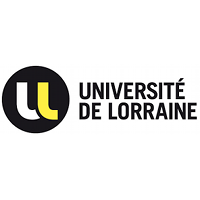 Profile: The University of Lorraine is one of the largest University in France with more than 55000 students and 60 research laboratories involving 3800 researchers in total. The research in Computer Science is held by the LORIA: a computer science laboratory (UMR 7503) which is also affiliated with CNRS and INRIA. Its more than 400 researchers are gathered in 28 research teams and 5 scientific departments. LORIA hosts researchers from more than 50 countries, has cooperations with major research institutions abroad (including Europe, the Americas, North Africa, and Japan), and has high international visibility. With 10 awarded ERC projects, LORIA is devoted to cutting-edge research in computer science and technology. Its research ranges from fundamental topics (algorithms, geometry and complexity, formal methods, etc) to a variety of application domains (computer graphics and 3D printing, security, big data, collaborative systems, natural-language processing and speech recognition, computational biology, e-learning, cyberphysical systems & robotics, etc). LORIA is also home to several research platforms: High Security Lab, a Smart Room, Grid 5000, a CPS & Robotics Creativ lab, and a platform for health data science. The University of Lorraine also has a leading graduate and engineering in computer science, TELECOM Nancy, which students can follow an education on cyber-security among the major topics proposed by the school and use the new cyber-security training infrastructure. UL’s persons involved in Condordia have been implied in many successful national and European collaborative research projects related to cyber-security over the last decade: FLAMINGO (Network and Service Management, FP7), FI-WARE (Future Internet Core Platform, FP7), Univerself (autonomics for Future Networks, FP7), SCAMSTOP (Scams and Fraud Detection in Voice over IP Networks, FP7), VAMPIRE (Future Internet Vulnerability Assessment, Monitoring and Prevention, ANR), MAPE (Measurement and Analysis of P2P Exchanges for pedocriminality fighting and traffic profiling, ANR), DOCTOR (DeplOyment and seCurisaTion of new functiOnalities in virtualized networking enviRonnements, ANR). Expertise and Role in CONCORDIA: UL will participate in all WPs and lead T4.1. For CONCORDIA UL will contribute research in fundamental topics (algorithms, geometry and complexity, formal methods, etc) to relevant application domains like security, big data, collaborative systems, e-learning, cyber-physical systems & robotics, etc). Furthermore, through LORIA UL will provide access to several research platforms like a High Security Lab, a Smart Room, Grid 5000, a CPS & Robotics Creative lab, and a platform for health data science.